1 UAH/t. - from 5 t.
Classical oatmeal cookies with raisin. 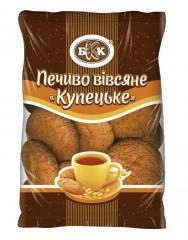 Oatmeal cookies - the confectionery having rounded shape and representing a sweet and dry small loaf. In the recipe of oatmeal cookies with raisin our masters harmoniously united traditional manufacturing techniques of usual oatmeal cookies with sweet of raisin and the delicate aroma of vanilla. They impact to cookies unique relish and imperceptibly supplement gentle aroma of cookies with notes of dried fruits. It is worth tasting these cookies and you fall in love with it forever! - The test report No. 1678/17-VTs/1 of 02.06.2017 is issued by the State enterprise "Cherkassk Scientific Production Center of Standardization, Metrologists and Certifications" of the Ministry of Economic Development and Trade of Ukraine. - The test report No. 7599/2319-10 v_d 18.05.2017 the ruble given by the State enterprise "Scientific center of preventive toxicology, food and chemical safety of a name of the academician L. I. Medvedya of the Ministry of health protection of Ukraine" It is skilled - the test toxicological center. 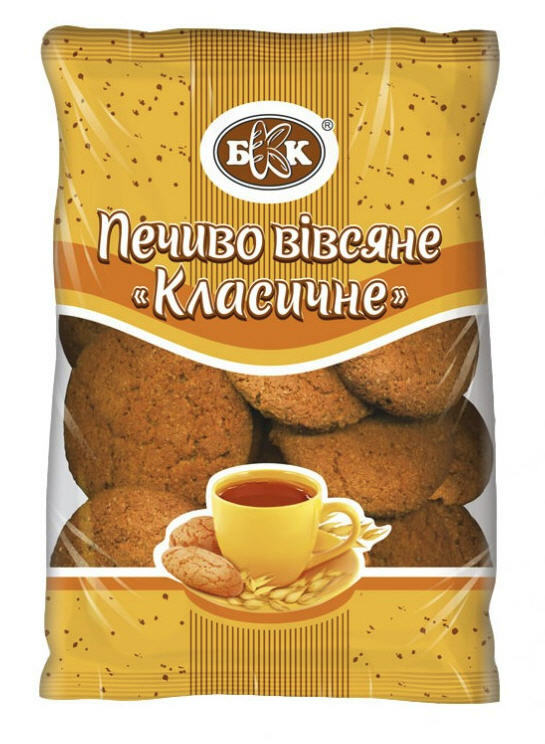 Unbelievable price on Classical oatmeal cookies with raisin. Packed up - 300 g, the Period of storage of 6 months of GOST in Vatutine (Ukraine) company Kombinat baranochnyh izdelij, OOO.